As we head into the Christmas season, you’ll want to visit Stanley for an unconventional holiday shopping experience. Christmas at Broadway is a joy-filled, relaxing, and personalized adventure. 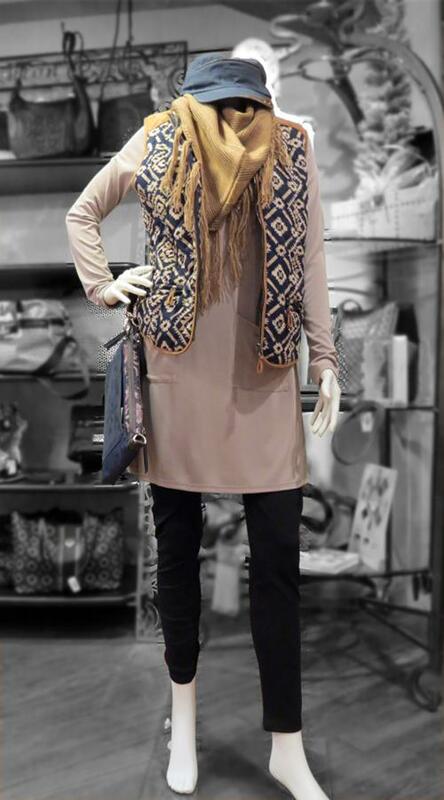 We have some cozy looks for winter that are perfect for casual shopping or relaxing at home, like this quilted vest, especially when paired with a soft saffron-colored scarf. Celebrate your unique style with a snowflake-embellished sweatshirt and a waffle cardigan. Your feet will love the plush comfort of these boots! This oversized sweater is luxuriously soft and warm. 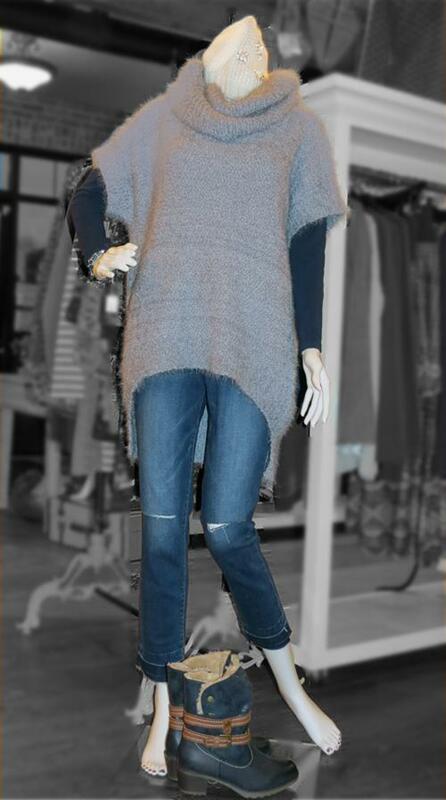 Wear it with your favorite worn denim for a casual look and top it off with a plush knitted cap with sparkles! Looking for that perfect outfit for your holiday party? We have a few ideas here. Plan a visit to Broadway to help get you into the Christmas spirit! 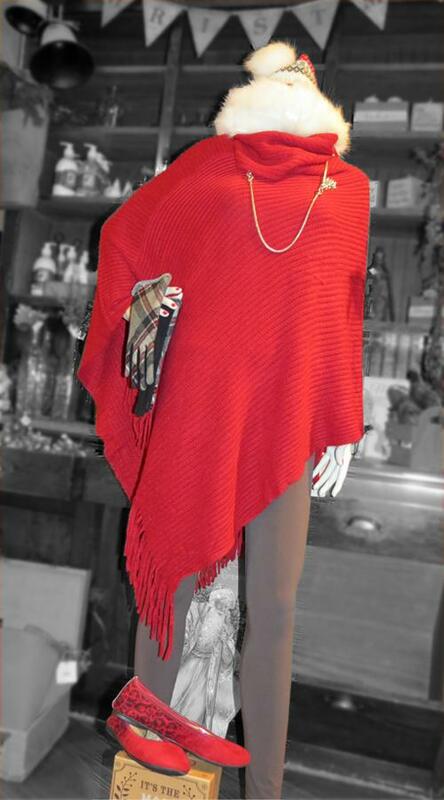 Red is a perennial favorite for festive winter occasions. Add some plaid gloves, a knit cap, and red ballet flats to complete your look. One of our new favorites are these chic patterned leggings, which look fabulous with some black booties. 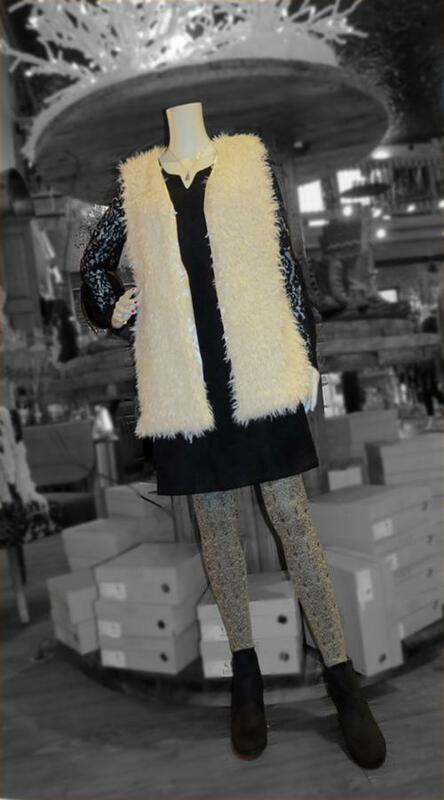 The black lace sleeves of this dress provide the perfect contrast to the faux fur vest. 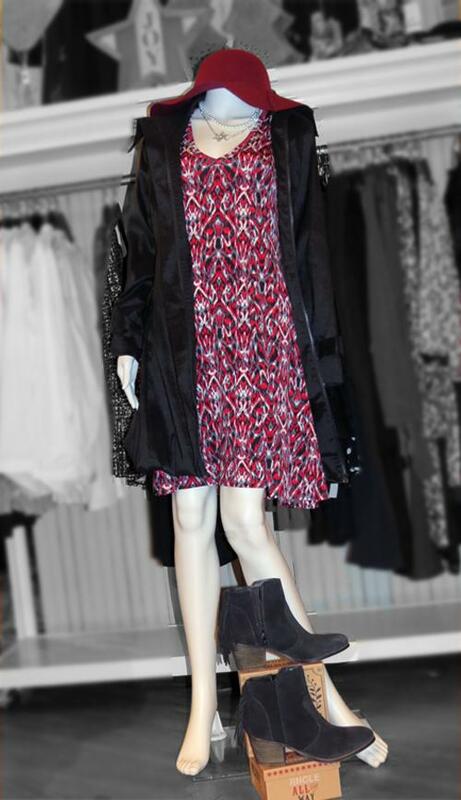 The rich colors in this dress brighten any dreary day. Layer on the accessories like a pearl necklace and silver snowflake to add some sparkle and complete your look with a sleek black jacket and boots.